Environmental watering in the Barmah-Millewa wetlands in 2015–16 boosted native grasses, fish and bird populations before the water flowed back into the Murray to benefit downstream river users, wetlands and communities. Goulburn Broken Catchment Management Authority (CMA) Project Officer Lisa Duncan said about 17 percent of the Barmah-Millewa floodplain was inundated this season. "About 20 percent of the environmental water delivered over the five-month period stayed in the wetlands, while the rest flowed back into the Murray where it was then re-used to water wetlands further downstream (such as Gunbower and Hattah)," Lisa said. "Waterbugs were flushed back into the Murray, providing more food for fish, which made for good fishing." Native birds also responded well to the environmental water. 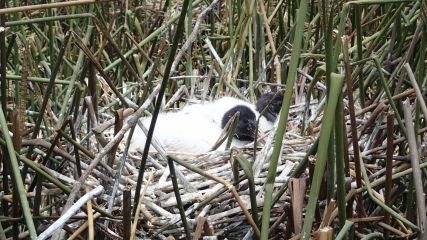 "Little pied cormorants nested in at least two locations in Barmah and up to 60 male Australasian bitterns were heard calling in wetlands on both sides of the river," Lisa said. "We suspect the Australasian bitterns were breeding, which is great news as they are a nationally endangered species; but because of their cryptic nature we weren't able to confirm this." The vulnerable river swamp wallaby-grass responded well to the watering while moira grass growth was varied. "Good growth occurred despite not reaching the depths or duration of flooding we'd normally aim for. Moira grass was found to be putting out new roots at the nodes when the water drew down. This will form new plants." Barmah Forest has the most extensive areas of moira grass plains in Victoria and is an important breeding ground for ibis, swans, ducks, cormorants, herons, spoonbills, crakes and rails. Ongoing monitoring at Barmah continues to measure how environmental watering affects water quality; bird, fish, frog and waterbug breeding and numbers; and plants. "This helps us understand the effectiveness of environmental watering and tweak future timing and flow rates to get the best outcomes," Lisa said. "We've been doing this for a number of years now, and we're seeing some great results. For example, the percentage of native fish caught in creeks and wetlands was much higher (40 percent) in 2015–16 than in 2014–15 when it was just five percent. That's why it's so important for us to continue supplying environmental water to these critical drought refuges throughout the forest." Environmental watering has helped sustain and grow Barmah Forest's significant natural values, which in turn has added to social and recreational enjoyment. Increased canopy, in-stream plant growth and invigorated moira grass plains have all added to the fishing, birdwatching and bushwalking experience. 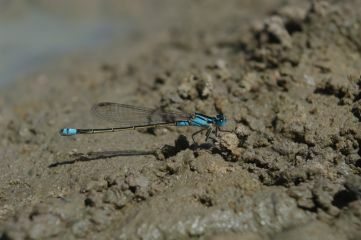 A river cruise through the wetlands provides visitors with examples of stable biodiversity.